Looking to get more involved in your child's education next year? Want to give input on where funds are spent and what programs are sponsored? Have a few hours each month to foster their positive school experiences? If so, you should definitely consider joining the Discovery PTSA board! We have a number of open positions for the 2019-2020 school year and would love to have you join us. Check out the role descriptions. If you are interested in a position or simply want to learn more, please contact one of our nominating committee members - Bethany White (WhiteB2@issaquah.wednet.edu), Sasi Dinesh (k.sasidevi@gmail.com) and Smita Das (mailsmitadas@gmail.com). President - Leader of the PTSA and the board. Work closely with school staff and board members to ensure PTSA events and programs meet the objectives set forth in our charter. Act as liaison between the board and our local PTSA district council. Ensure our legal entity remains in good standing at all levels. See full description here. Vice President – Assist the President when called upon and perform the duties of the President in the absence or inability of that officer to serve. See full description here. 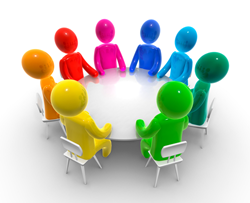 Secretary - Attend and document business conducted at all board and general membership meetings. Ensure meeting minutes are accurate and available. At year end, ensure all permanent records and documents are in order. See full description here. Co-Treasurers (Accounts Payable & Accounts Receivable) - Two Treasurer positions handle the finances of the Discovery PTSA. Process payments and deposits, complete federal and state filings, create and maintain the budget, publish monthly financial reports, and facilitate annual financial review. See full description here. Co-VP of Fundraising – Two positions oversee all PTSA fundraising activities. Implement or modify fundraising activities as needed to fulfill PTSA goals for the year. Coordinate with board members and school staff to execute fund raising activities. See full description here. VP of Programs – Oversee all non-fundraising events and programs. Implement or modify programs as needed in accordance with PTSA goals and budget for the year. Recruit, train and oversee all committee chairs for PTSA events. See full description here. VP of Volunteers - Oversee and assess the need for volunteers. Promote volunteerism around the school and maintain list of potential volunteers for PTSA events. Coordinate with Programs VP and committee chairs to recruit and staff event volunteers. Facilitate a "Volunteer of the Month" recognition program. See full description here. VP of Communications – Manage all aspects of communication for the Discovery PTSA. Ensures the eNews, email distribution, website and paper communications include relevant and up to date information for our community. Good writing, editing and proof reading skills needed. See full description here. 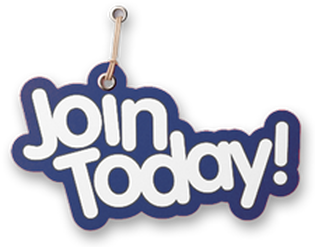 VP of Membership – Promote and organize our membership drive each Fall to ensure 100% membership. Ensure membership details are entered and uploaded to the WA State PTA membership database. See full description here. Webmaster - Maintain the PTSA website. Work with the VPs of Communications and Programs to keep website current. Some experience with web design (html, css & image editing) needed. Knowledge of Google forms/docs and Microsoft Excel also desired. See full description here.